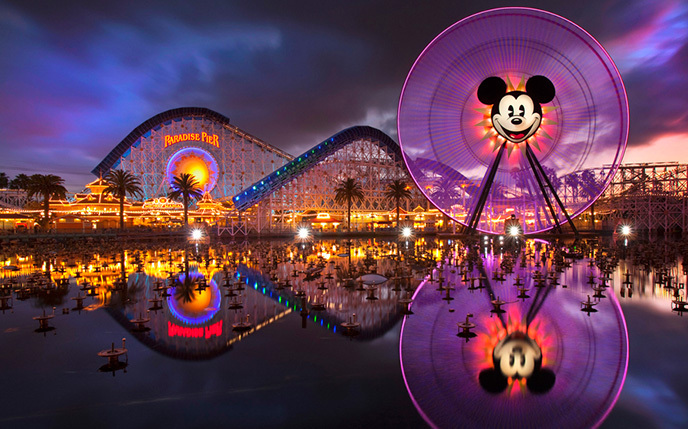 I recently went to Disneyland California Adventure with my friends. During the afternoon, one of my friends suggested we go see the musical Aladdin. I thought it was a stupid idea. Why would anyone want to watch a stupid musical version of a movie that everyone has seen countless times? However, I kept these thoughts to myself, because literally everyone in my group was super ecstatic and excited to go watch it. So I decided to just tag along. At least it was only a 45 minute show, so we could go straight back to roller coasters after seeing it. However, the musical turned out to be much more than a simple remake of the movie. The sets were designed beautifully and it was a very exciting show, but most importantly, many of the characters, especially the genie, made hilarious allusions and comments about modern day things. They poked fun at the new health care bill, at Miley Cyrus, at Jenny Craig (which they called “Genie” Craig), and made numerous other puns that did not fit into the time period of Aladdin, but were used as devices to keep the audience laughing. They were literally some of the most clever puns and jabs at present day situations that I have ever heard. Like, I’m not even gonna try to give you an example, because I would never do it justice (as I don’t clearly remember word for word how they were said). This was exactly the case with Aladdin, except we could really understand the jokes and get a laugh out of them. The hilarious remarks the genie made, comparing the time being trapped in a genie bottle to the time spent trying to log onto healthcare.gov, or poking fun at Miley Cyrus’s style change when talking about Aladdin’s wardrobe change, were just like the witty remarks Hamlet said throughout the book. They were downright hilarious and allowed the audience to connect with the play as a whole better. I don’t think I’ll ever enjoy Shakespeare as much as some literary scholars do, but at least I can see why the viewers back then enjoyed Shakespeare so much. They understood the jokes the characters made in the play, and this allowed them to thoroughly enjoy it. Who knew a day at Disneyland could ever change your outlook on Shakespeare literature? This entry was posted in Re:Framed, Realist and tagged adventure, Aladdin, apprecation, audience, california, change, cliche, dca, disney, Disneyland, english, funny, genie, haha, hamlet, happiest, hilarious, Jenny Craig, joke, juliet, Julius Caesar, laugh, literature, Miley Cyrus, musical, orchestra, park, pun, remarks, romeo, sarcastic, shakespeare, spectacular, thirsty, William Shakespeare, witty. Bookmark the permalink.